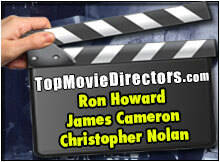 Sometimes Ron Perlman in credited as Ronald Perlman which is his birth name. 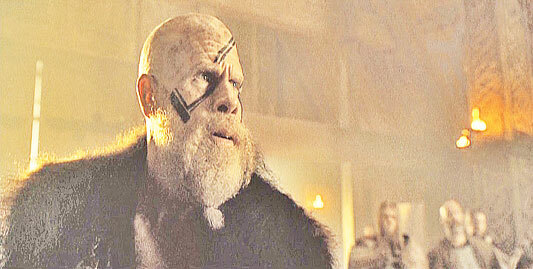 In 1981 Ron Perlman started out strong as Amoukar, one of the tribesmen in Jean-Jacques Annaud's Academy Award-winning film La Guerre Du Feug Uerre, for which he got a Genie nomination. By landing the role of Vincent, the lion man gave Ron Perlman first real breakthrough, opposite Linda Hamilton in the cult-series Beauty And The Beast in 1987. 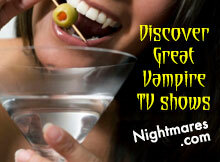 The role of Vincent in Beauty And The Best earned Ron Perlman a Golden Globe Award. 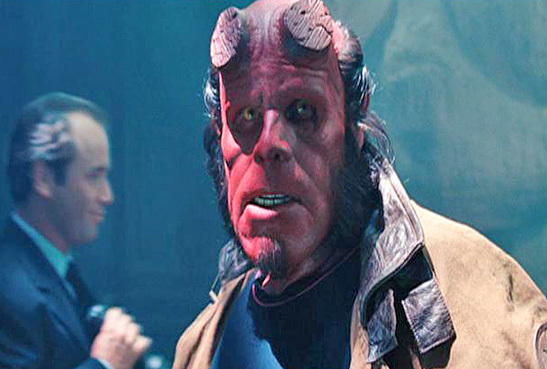 While filming the subway scene for Hellboy in 2004 Ron Perlman broke a rib during an action shot when he jumped onto a train that was coming towards him. 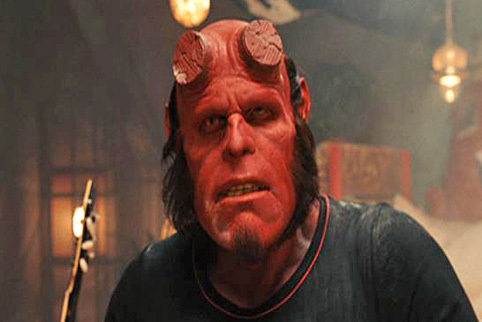 To prepare for his role in Hellboy, Ron Perlman read all the Hellboy comics and worked out three hours a day, five to seven days a week. 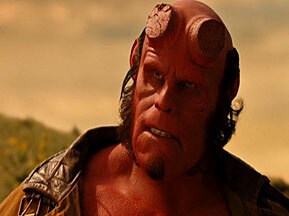 With the creation of Hellboy, Ron Perlman was 53 years old making him the oldest actor ever to play a comics superhero. 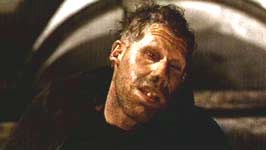 In 1997 Ron Perlman returned to mainstream films in Alien: Resurrection. For a role in a french film Ron Perlman didn't speak French at all and was the only American on set of the French film La Cite Des Enfants Perdus in 1995. He did learned all of his lines, and delivered them flawlessly. 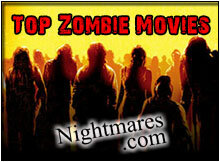 Ron Perlman has brought to life several voices the mutant villain Clayface on Batman in 1992, a character who, ironically, was a disfigured actor, then voiced the villain Slade on Teen Titans in 2003, the voice of the Hulk/Bruce Banner twice in two separate series, a guest spot on The Fantastic Four and on Iron Man both in 1994. Then Ron played the comic book character Hellboy in Hellboy. 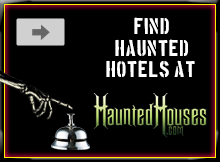 It was with the help of good friend Guillermo del Toro that help land the title role in the big-budget comic book movie Hellboy in 2004. Ron Perlman in Enemy At The Gates (2001). Perlman in Alien: Resurrection (1997). Ron Perlman in Quest For Fire (1981). 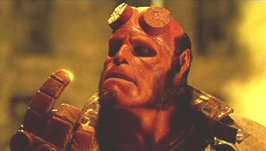 Ron Perlman in Hellboy (2004). 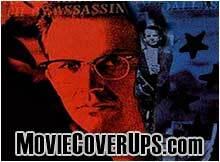 Ron Perlman in The Name Of The Rose (1986). 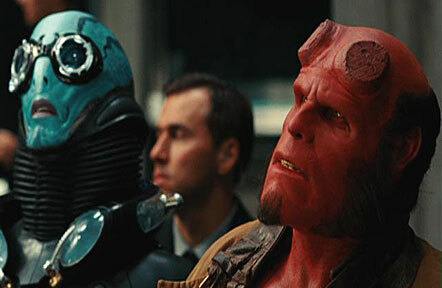 Ron Perlman in Hellboy II (2008). 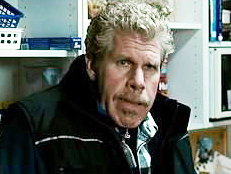 Ron Perlman in Last Winter (2006). 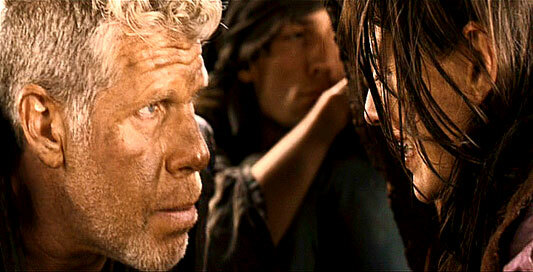 Perlman in In The Name Of The King (2007). 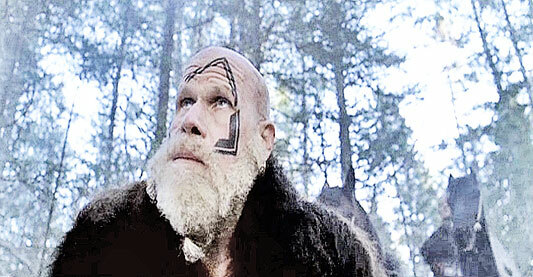 Ron Perlman in Outlander (2008). 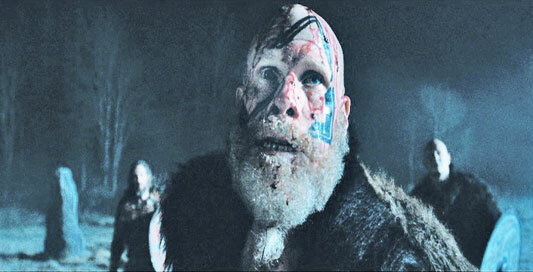 Ron Perlman in Conan The Barbarian (2011).